We are a prominent name in the industry providing a wide range of reliable and durable Instrumentation Cables. We are engaged in Supplying and Exporting qualitative range of Instrumentation Cables. The steady growth in automation of production processes in industry, especially distributed process control across large user sites like oil refining and petrochemical plants, the steel industry, power stations etc. 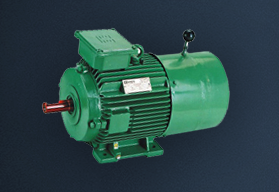 necessitates the reliable transmission of electrical signals, process data and control information. Today, in a continuous process plants like refinery, fertilizer, cement, steel etc. 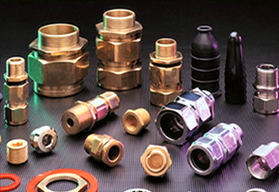 various parameters like temperature, pressure flow, level etc. are converted into electrical signals which are fed to control room. In control room these signals are analyzed, compared and suitable commands are sent to the field to take corrective action. The control room has become the brain of the instrumentation cables are the arteries. Instrumentation cable are mainly defined in Indian Standard IS 1554/7098 Part 1, British Standard BS5308 Part 1 & Part 2 and European standard BS EN 50288-7, amongst others. We can also work with customers to develop cables designed and manufactured to meet their applications' specific requirements for industries including oil, gas & petrochemical, automation and process control, and marine & offshore. Instrumentation cables have very diverse applications and are designed for use in communication and instrumentation applications. Cables made to specific rigid requirements and standards are used in process controls, transmission of critical signals, control and automation systems, and monitor networks as well as in intrinsically safe systems in hazardous areas like oil, gas and petrochemical plant, power plants, etc. b) It is free from oxide film in normal atmosphere. d) It can be soldered easily. Copper has got affinity for sulphur and hence where sulphur is present it should be protected by tinning. All regular rubber cable has sulphur added in rubber for vulcanization and hence tinned copper conductors are always used in rubber cable. In bigger sized cable a separator tape is applied on bare copper conductor to prevent it from coming into contact with sulphur in rubber. Conductor for high temperature rating i.e. PTFE and FEP insulated cable is of silvered copper to protect the copper from oxidation at higher process and operating temperature (About 200°C). In case of compensating cable the conductor material depend upon its type. This is discussed in detail in section Thermocouple Extension Cable & Compensating Cables. The conductor is made of one solid wire i.e. for 1.50 sq.mm conductor there will be one Wire of 1.38 mm diameter and it is denoted as 1/1.38 mm. The conductor is made of several wires (strands) laid up together. Here six strands are laid around one central strand. For 1.50 sq.mm conductor there will be 7 strands of 0.53 mm. dia. each and it is denoted as 7/0.53 mm. The conductor is made of several wires twisted together in one direction i.e. for 1.50 sq.mm there will be 30 wires of 0.25 mm dia. each and it is denoted as 30/0.25 mm. These are the plastics which when heated their linear molecule chains drift apart and become soft and regain their original form on cooling. 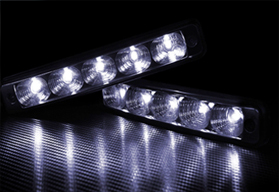 PVC, POLYETHYLENE, PROPYLENE and NEW generation of LSZH (Low smoke Zero Halogen) are thermoplastics materials and cannot be used at higher temperatures. They can be recycled number of times. NYLON is polyolefin material and can be used for higher temperature as well tough applications. These are plastics and rubber when initially heated, their linear molecule chains get interlinked and this is not reversible. Due to this they can be operated at higher temperature. VULCANIZED RUBBER, CROSS LINK POLYETHYLENE, SILICON RUBBER, OTHER RUBBERS SUCH AS EPR, EVA are thermo setting material and they cannot be recycled. This is the most widely used Plastic due to its versatility. Unlike other plastics this cannot be used alone. It is required to be mixed with other ingredients like plasticizers, fillers, stabilizers, lubricants etc. to make it workable. By varying the ingredients and their proportions in the compound the end properties can be varied to a great extent to meet the specific requirements. The normal PVC insulated cables are suitable for continuous 70°C operation. By changing the plasticizer and stabilizer we can have HR PVC which is suitable for continuous 85°C operation. Due to higher dielectric constant and hence higher mutual capacitance it is not suitable for operation above audio frequency i.e. 20 kilohertz. This has got excellent electrical properties but is suitable for continuous 60°C operation and hence it is not used in Power Cable. Due to its low dielectric constant it is widely used for telephone and radio frequency cable. Cross Linked Polyethylene meeting ICEA S-82-252 standards can withstand higher temperature of 90°C due to Cross linking of ethylene chains and hence it is widely used for LT and HT power cables. XLPE capable of withstanding 105°C and 125°C conductor temperatures can also be offered. These are other plastics, which are used as insulating material for higher temperature application (200°C). They have not found wide application due to their prohibitive cost. Ethylene propylene rubber is a common synthetic rubber polymer used as an insulation in electrical wire and cable and control/instrumentation cables. Because of its rubber-like characteristics, EPR is used in many highly flexible cables. Its dielectric strength is good but not as high as that of PE or XLPE. EPR is abrasion resistant and is suitable for use at temperatures down to –60°C. It is fairly flame retardant and can be made even more flame retardant by careful formulation. 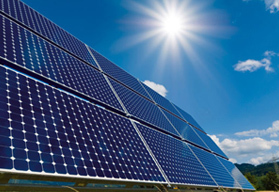 EPR’s high-temperature characteristics are very good. Some formulations can withstand continuous temperatures as high as 150°C. Silicone is a soft, rubbery insulation that has a temperature range from –80°C to 200°C. It has excellent electrical properties plus ozone resistance, low moisture absorption, weather resistance, and radiation resistance. It typically has low mechanical strength and poor scuff resistance. 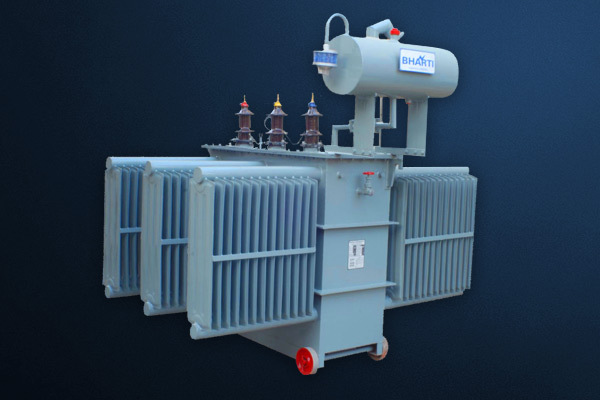 Interference induced by external source such as electrical equipment’s machineries and power lines. Copper/ polyester tape with a tinned copper drain wire, for a superior screen effect. Bare copper braid, for electromagnetic interference/noise or when the cable is subject to movements. Tinned copper braid for electromagnetic interference inexistence of corrosive atmosphere. Here the shielding is provided by wrapping of Aluminium or Copper foil bonded with Polyester film also known as Mylar which is a trade name and hence sometimes it is called Alu-Mylar or Copper-Mylar shielding. It is observed that in case of Electrostatic Interference the coverage is more important than conductance of the shield and hence thin Aluminium/copper foil (B.S. 5308 specifies a minimum thickness of 0.008 mm i.e. 8 Micron thickness for Aluminium/copper foil) is used for shielding for economic reasons. This foil has poor tensile strength and it breaks while wrapping. To provide mechanical strength Polyester film is laminated to Aluminium/copper foil. The Polyester film apart from providing strength also acts as additional insulation for shield isolation. Sometimes clients insist on 50 to 75 Micron Aluminium/copper foils which may not offer any additional advantage but adds to the cost. A tinned copper drain wire is provided in continuous contact with the Aluminium side of the tape all along the length of the cable. As the name suggests it drains off electrostatic interference. It helps to connect the Aluminium/copper polyester tape to earth at the termination. Moreover it takes care of any breakage in the tape in providing continuous earth around the circuit. 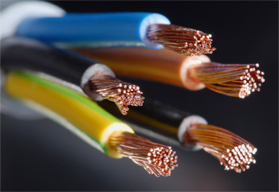 The most common size of the drain wire is 0.5sq.mm stranded or solid (20AWG). Stranded construction is preferred as it does not protrude above the tape and chances of its breakage are less. Generally a plain polyester tape of thickness 0.025 mm (25 Micron) is provided over the laid up cable element, over which the drain wire runs and above that Aluminium/ copper polyester tape is wrapped. The plain polyester tape keeps the drain wire always in contact with the Aluminium/copper foil. Here the shield is provided in the form of wire mesh around the cable circuits. Fine gauged soft wire of plain copper/tinned copper are woven around the circuit. The finer the mesh better is its effectiveness. Due to its low resistance it provides better screening against Electromagnetic Interference but as it is not fully covered it is less effective against Electrostatic Interference when compared to Alu-polyester shielding. It is much costlier than Alu-polyester shielding and it is generally used in cable which are used for flexible and non-static applications. Apart from providing shielding it also offers mechanical protection to inside circuits. We recommend PVC inner sheath below braiding instead of plain polyester tape as it offers better mechanical protection to inside conductor against the damage caused by the wires of the braid due to constant movement. Screens / shields if applied to each individual pairs / triples (triads) is known as individual screen / shield. Screen / shield applied on the bundle (after laying up of pairs / triads) of the cable is known as overall screened / shield. The required number of cabling element (Shielded or Unshielded) or cores are stranded (laid up) concentrically in layers to form the laid up cable. Cable up to eight element will have one layer. For cable having more than eight elements there will be two or more layer and they are laid in opposite direction. Sometimes a nylon thread of sufficient strength along the cable is provided under the inner sheath. It helps in removal of inner sheath without damaging the insulation at the time of termination or jointing. It is more useful in control and power cable where the inner sheath has a tendency to stick to the inside insulation due to the absence of any separator between them. In addition to mechanical protections discussed above special protection can be considered for specific installations. Lead sheath is applied between inner sheath and outer sheath and is the best shield against destructive chemicals. However this is a costly solution and it increases weight of the cable and bending radius. However it is preferable to have armour to protect the lead sheath from crushing. It is an alternative to Lead Sheath and is composed by a longitudinal overlapped aluminium copolymer coated tape bonded to HDPE jacket and additional polyamide/polypropylene sheath. It has excellent protection against corrosion and humidity. This protection has a lower weight compared to lead sheath, cables have a smaller diameter, with a reduction of costs. Inner sheath of PVC either extruded / tape is provided over the overall shield as a bedding for the shield and armour to avoid common mode interference. Extruded sheath also adds to the circularity of the cable. Taped inner sheath is not recommended as it is not inpermeable and in case of any puncture in the outer sheath the water reaches right upto shielding and corrodes it. Armouring is provided over the inner sheath when cables have to be installed direct buried for mechanical protection. Its conductance is not as important in Instrumentation cable as it is in Power cable where it has to carry heavy earth return current in case of short circuit. Steel armouring also provides protection against Electromagnetic interference due to its magnetic nature. It also provides protection to inside cable against Rodent attack which is quite common in tropical countries like India. Galvanized Steel Flat Armoured, is composed of flat wires of thickness of 0.80mm. Where diameter under armour is above 13.0 mm galvanized steel strip of size 4.0 mm X 0.80 mm is generally used. This type of armour is similar to SWA/ RWA. Single Layer of Galvanized Steel wires with diameters according to relevant standards is applied. This type of armour normally assures a very good mechanical protection and tensile strength. Generally galvanized mild steel wires of 0.90 mm diameter are used for armouring in cable where diameter under armour is 13.0 mm or less. Galvanized Steel Wire Braid in the form of wire mesh around the cable is applied. It assures a good mechanical resistance and lower bending radius compared to other types of armour. This type of braided armouring is preferred when there is movement or vibration. For special application it is also possible to use stainless steel or tinned copper wires. Glavanised Steel Tape Armoured, comprises of 2 tapes with overlapped edge. The thickness of the tape is to be designed according to cable diameter. It grants a coverage of more than 100%. It has very good crush resistance but has fair tensile strength. The coating on the armouring is known as outer sheath. Many compounds can be used as sheath material. Different grades are available to meet specific working conditions. Type of installation – outdoor/ indoor, direct buried..
As discussed above, PVC has got better fire resistance due to its chlorine (Halogen) Content but it creates other problem during fire. To overcome these deficiencies ZHFR compounds were developed. Here Polyethylene or Ethylene Vinyl Acetate (EVA) plastics which are having zero halogen are imparted fire resistance properties by compounding them with certain chemicals. These materials when burn, emit little nontoxic smoke. This is the most preferred sheathing compound for underground Metros, Stations, Airports, Theatres, and Hospitals etc. where human density is more. By default it is black as it imparts weatherproof properties. In case of cable used for intrinsically safe systems blue sheath is provided. Sometimes the clients specify Grey or Red sheath to differentiate the instrumentation cable from the normal cables. These signals are in millivolts and milliamperes and hence they must be protected by suitably designed Instrumentation Cables to screen off any outside interference. Any distortion of the signals will lead to malfunctioning of the system. A noise free signal is important to avoid mistakes. External source like nearby power lines, big motors, generators etc. Any voltage source radiates electric field and this field will induce emf in the circuit which is coactively coupled to the voltage source. The most effective way to protect the circuit is to place the circuit inside a total coverage shield, which is earthed. The best shielding is provided by wrapping Aluminium foil bonded with polyester around the cable as this provides 100% coverage. Moreover the electrical interference induce very small currents and hence the conductance of the thin aluminium foil is sufficient. Generally low frequency electromagnetic field due to power cables, motors etc. can induce EMF into the instrumentation cable. The twisting of conductors provides a good magnetic noise reduction. Other reductions are given by steel conduit, armours (high inductance material). In some particular cases low resisting screen (i.e. copper braids, copper tapes) may be necessary. Different ground potential at different locations in a process plant cause common mode as it will give rise to a current in the shield which will affect the signal. To avoid this, ground the shield at one end only. This problem is more prominent in thermocouple extension leads (compensating Cables). For rapid response grounded thermocouple are used. The junction of the thermocouple is connected physically and electrically to the thermowell wall in which it is installed. In case of multipair compensating cable for use with grounded thermocouples, each pair should be individually shielded and grounded at corresponding thermowell. Moreover all the shields must be isolated from each other. This occurs with AC instrument signals, especially pulse type signals when more than one circuit is carried in the same cable. In case of multipair cables, the signal in a circuit gets coupled to a second circuit super imposing interference (noise) on a circuit. One way to combat this is to use pairs with staggered lay lengths in the same multipair cables i.e. the lay lengths of two nearby pairs are different. The best way to eliminate this is to use individually shielded pairs in multipair cable. Moreover these shields must be isolated from each other. The individual pair shield protects the pair from noise picked up from the adjacent pairs, as well as reduces the noise radiated by the pair it surrounds.